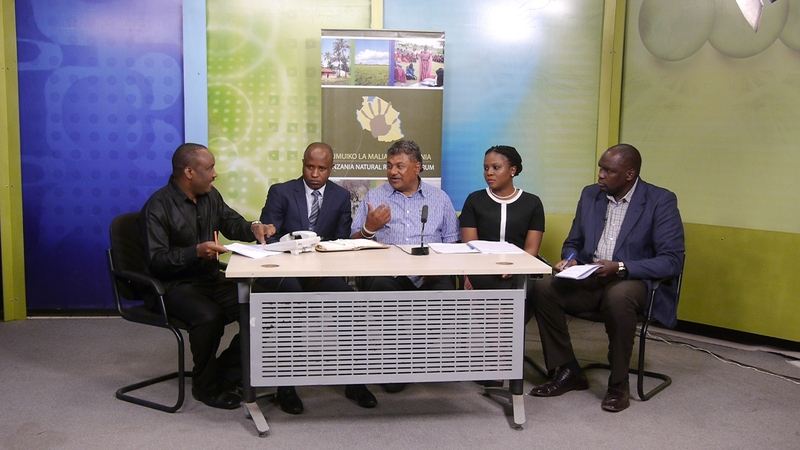 Tanzania Natural Resource Forum (TNRF) through the project titled Engaging Civil Society Organizations (CSOs), communities and Private Sector (PS) in Advocacy and piloting implementation of the wildlife Corridor Regulations, held a TV talk show and radio program on TBC1 and TBC Taifa on 25th and 26th September 2018 respectively. The shows (TUAMBIE PROGRAM) and TUWEKANE SAWA were aired live for one hour each and provided opportunity for conservation and tourism stakeholders to make phone calls to ask questions and provide recommendations. The panelist were members of the Tanzania Parliamentarians Friends of Environment (TAPAFE) Honorable Jitu Soni, Honorable Zainab Katimba and Honorable Esther Matiko. Also Mr. Mosses Ngereza a policy analyst from Tourism Confederation of Tanzania and Mr. Ernest Mwamaja the Director of Marketing from Tanzania Tourist Board (TTB) were present. There is a need to put more effort in raising awareness about tourism especially in the rural areas. Every citizen should understand what tourism means and the benefits that comes with it. Opportunities such as employment for the youth should be prioritized in the tourism sector. This has to go hand in hand with qualification and hospitality as tourism industry is very delicate industry. Tour operators should come up with strategies that will make tourists stay longer in the country and be great ambassadors of the country when they go back to their home countries. This will attract more tourists to visit Tanzania. As TNRF we are happy to facilitate more discussion on this agenda in ensuring that the government interest and those of other stakeholders are catered in the legal framework through different platforms.